Tagged as 1981 RM125, 1981 RM250, 1982 RM125, 1982 RM250, 1983 RM125, 1983 RM250, 1984 RM125, 1984 RM250, 1985 RM125, 1985 RM250, 1986 RM125, 1986 RM250, 1987 RM125, 1987 RM250, 1988 RM125, 1988 RM250, 1989 RM125, 1989 RM250. 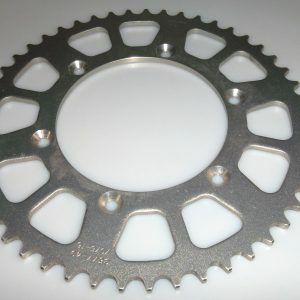 Slightly used Sunstar 49 tooth aluminum rear sprocket. These look pretty close to what hte stock ones look like, so I tend to use them for most of my RM restorations. 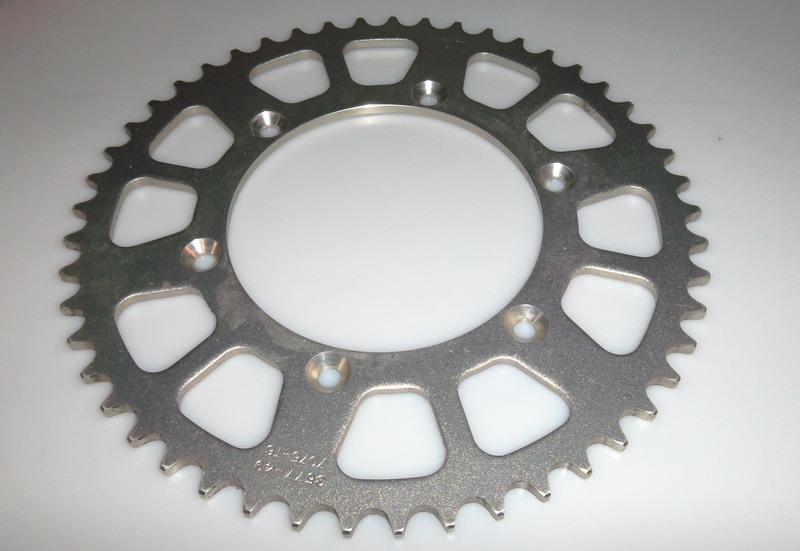 This one one is almost new, with just a little grease from being mounted on a restored ’82 RM250 with only a few hours of ride time on it.